TRAVEL GUIDE: The Best Restaurants & Nightlife in Charlotte, NC. 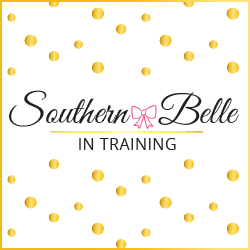 Confession: I can't believe the first time I'm writing a post like this is TWO YEARS after I moved away from Charlotte! This is long overdue. I loved my years in Charlotte, and a big part of that was due to the incredible restaurants and fun nightlife there! I'm sharing all of my favorites in today's Travel Guide, as we continue with this month's Tuesday blog series (all about Charlotte). Nova's (multiple locations, my favorite is in South End at 1515 South Blvd. Charlotte NC 28203.) This was my absolute favorite coffee shop when I lived in Charlotte! The South End location is my favorite. It's pretty no-frills inside (in full honesty, not the most Instagrammable coffee shop), but the beverages and bakery goods are incredible. I've never had a chai latte as good as the ones at Nova's! Their scones are also a great breakfast item. I wrote the majority of my senior capstone paper during my final semester of college at the South End Nova's location, and then the following year while in broadcasting school I had my last radio internship at one of the stations located directly across the street, so I was still there all the time. So this place is pretty special to me, and I highly recommend it! Suarez Bakery (Park Road Shopping Center, 4245 Park Rd. Charlotte NC 28209, Montford neighborhood) One of my favorite things to do when I was in college if I'd had a tough week with school was to make the quick drive over to Suarez Bakery and pick out a decorated sugar cookie to enjoy! Their cookies and other treats are pretty reasonably priced for such a nice bakery, and also delicious! Suarez Bakery also does the most insane and beautiful decorated cakes- sadly I've never tried one of those but I'm sure they're amazing. Terrace Cafe (4625 Piedmont Row Dr. Charlotte NC 28210, SouthPark neighborhood) This is my very favorite Charlotte brunch spot! Their pancakes and French toast is just incredible- and they always do fun flavor twists on favorite breakfast dishes. The one major downside of Terrace Cafe is that they don't take advance reservations for brunch. This is a popular spot so be prepared to wait awhile... but it's worth it! Midnight Diner (115 E. Carson Blvd. Charlotte NC 28203, South End neighborhood) Those of you from the tri-state region of Connecticut, New York and New Jersey know that it's hard to find a good, traditional diner in other parts of the country. I never thought I'd find something that would compare to the diners in Central Connecticut and Long Island, NY, by where members of my dad's family live. Well folks- Midnight Diner is some serious competition. It's open almost 24/7 (very late at night- you can eat after the bars close at 2!). While Midnight Diner is great to eat at midnight or later- it's also great for breakfast or really any meal! I love their waffles with a side of corned beef hash- yum! This is also one of my parents' favorite spots in Charlotte that we used to eat at when they'd visit me. Cowfish (4310 Sharon Rd. Charlotte NC 28211, South Park neighborhood) Cowfish is one of the most unique restaurants that I've ever been to. Their name comes from the fact they they specialize in gourmet burgers (cow) and sushi (fish). 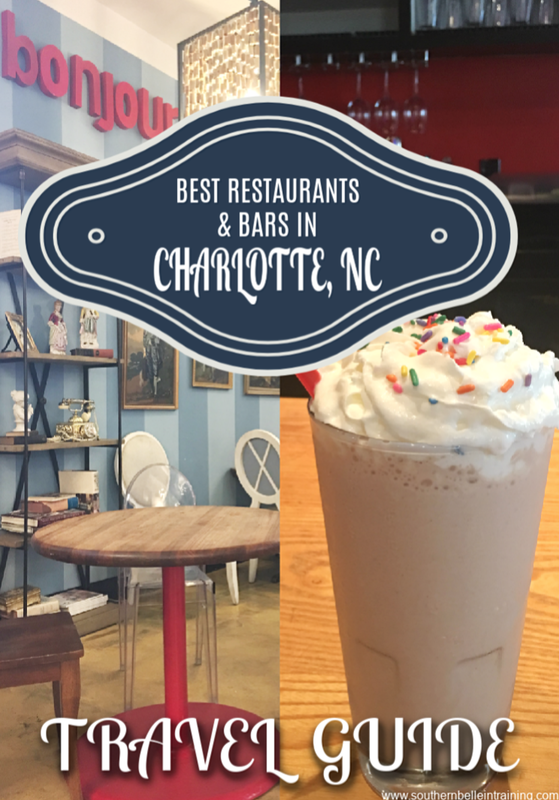 Three of their other specialties include their milkshakes (the best of the best in Charlotte), their fries, and their vast tea selection. I personally don't eat sushi, but many friends have raved to me about how good the Cowfish sushi is. I do enjoy their burgers- however I will say they are a bit pricey (but good). In all honesty though- my favorite thing to go to Cowfish for is a birthday cake shake with malt added, and a side of fries! Definitely not a healthy snack... but a tasty one. Cowfish gets very busy especially on weekends- which is something to note. Expect to wait for a table at popular times. Kid Cashew (1608 East Blvd. Charlotte NC 28293, Dilworth neighborhood) One of my favorite unique spots in Charlotte! Kid Cashew is a farm to table restaurant with Mediterranean flair, but they serve a lot of American dishes with fun twists as well. Their mac and cheese... Y'ALL. Get the mac and cheese. it will change your life. I've never had restaurant mac and cheese like this before. This is also a great restaurant for vegetarian options, and in the inside is filled with natural light and fun rustic decor. Evoke (555 S McDowell St. Charlotte NC, 28204. Uptown- inside Le Meridian Hotel) Being that I was on a student budget while I lived in Charlotte, I didn't get to experience too many of the fine dining restaurants in the city. Right before I moved two years ago, I did get to attend a media dinner at Evoke, located in Le Meridian. This might have been one of my favorite meals that I ever ate in Charlotte! In my opinion, Evoke is one of the most underrated restaurants in the city. Their menu is described on their website as eclectic, and the cuisine is inspired by both the US and international dishes. Check out my review of my dinner at Evoke here! Cantina 1511 (Park Road Shopping Center, 4271 Park Road, Charlotte NC, 28209. Montford neighborhood) I ate dinner here with my Charlottesville friends last month on our Charlotte girls' trip! This restaurant has a very fun atmosphere, and absolutely delicious food. I've never had drinks here- the drink menu was a little pricy but it did look like they had good margaritas and craft cocktails. Vapiano (210 S. Tryon St. #101 Charlotte NC 28202. Uptown.) One of my very favorites in Charlotte! It's actually a European chain with a few US locations (I've also been to the NYC one!). It's incredibly affordable- most full meals are under $10. They make their pasta from scratch in house and it's absolutely delicious, as-is everything on the menu! Vapiano also has a fun modern feel to it with the cool decor. Vapiano was a favorite place of mine to bring out-of-town guests to lunch or dinner when I lived in Charlotte and would have visitors, and I also had my 20th birthday lunch here! Crepe Cellar (3116 N. Davidson St. Charlotte NC 28205. NoDa neighborhood) Ohhhh I sure do love this place! The Crepe Cellar is a fantastic restaurant that has a wide array of both savory and sweet crepes, as well as other delicious menu items. The butter and sugar crepe is a delicious but simple dessert crepe option... but if you want the real deal, you have to order the Brownie in a Blanket crepe. It's literally a gigantic brownie baked into a crepe, with chocolate sauce and vanilla ice cream. Think like chocolate lava cake, but a million times better. One of my favorite desserts in Charlotte! While the sweet crepes are great- the actual food here is wonderful too. The only major downside is that this restaurant is that it's located right in the heart of NoDa, where parking can be super tough. Passage to India: (9150 University Blvd. #101 Charlotte NC 28213. University area) I love Indian food, and always have. It's one of my very favorite international cuisines. With that said- when I first got to Charlotte for college, I was determined to find the best Indian restaurant in the city. And I sure tried a lot of them! I've eaten at Indian restaurants in most Charlotte neighborhoods... and I can tell you without a doubt that Passage to India is THE BEST! It's located just outside of the UNCC campus in the University area. Granted- this is about 30 minutes away from Uptown (more with traffic), so it might not be the most convenient place to get to, depending where you're visiting in Charlotte. But oh my- it is so good! A very small, low frills restaurant, but insanely delicious and authentic Indian food. Red Ginger: (401 S.Tryon St. #130 Charlotte NC 28202. Uptown.) A delicious hibachi and sushi restaurant in Uptown! Definitely one of the pricier ones on this list, but the food makes it 100% worth it to go. They have a mix of hibachi grill tables and regular tables. It's a very classy restaurant- perfect for a nice night out on the town. They can also easily accommodate big groups (with reservation)- I had both my 21st and 22nd birthday dinners here! Doan's (5937 South Blvd. Charlotte NC 28217. Technically not sure of neighborhood- further down South Blvd. from South End!) Pho is my very favorite rainy day comfort food! And Doan's is THE place to get it in Charlotte. I will be honest and tell you that this restaurant isn't located in the most scenic or desirable part of town. It's in a strip mall about midway down on South Boulevard (a long road running from near Uptown all the way to almost the state line). But the food makes it worth a visit. Their prices are extremely reasonable, and they have wonderful Pho, as well as other Vietnamese specialities! Thai Taste (324 East Blvd. Charlotte NC 28303) Similar to my love of Indian food, I also really enjoy Thai food. Thai Taste is what I believe is the best of the best in Charlotte! Their curries are delicious, as is the Thai iced tea! It's located in Dilworth, which is a great neighborhood to eat in. This was yet another favorite spot of mine to eat at with friends, and I've also brought my parents here. The Cheesecake Factory (4400 Sharon Rd. Charlotte NC 28211) Call me basic, but your girl LOVES The Cheesecake Factory! The Charlotte location is at South Park mall. You name it, I've been to it at The Cheesecake Factory: my birthdays, other friends' birthdays, dates, girls' nights, takeout for S'mores cheesecake after a rough week... yep, I've been there for it all. And loved it every time! Seriously- a highlight for me of where my university was located in Charlotte was that it was under 10 minutes from The Cheesecake Factory. Haha! City Lights ((555 S McDowell St. Charlotte NC, 28204. On top of Le Meridien hotel.) There are now several rooftop bars in Charlotte, but City Lights will always be my favorite! Part of that is for a sentimental reason. I was invited to the media opening night of City Lights three years ago- and it was one of the coolest local events I've ever been invited to as a blogger! So it has a special place in my heart. I also had my Charlotte going away part here before I moved, and did birthday/blogiversary pictures here in 2016! City Lights is obviously special to me, but it's a great rooftop bar aside from that! Le Meridien hotel is located on the outskirts of Uptown, which means this rooftop has THE BEST views of the whole skyline, since it's a couple blocks before it instead of being right in it. They also do really fun craft cocktails!! (The only thing I don't recommend at City Lights is the food- it's a bit overpriced for the quality.) No cover. Roxbury (116 W. 5th St. Charlotte NC 28202) This is one of my absolute favorite bars in Charlotte- I'm only ranking this second to Whiskey River because Roxbury often gets more crowded. Roxbury is named after the classic 90s comedy, Night at The Roxbury, which is one of Will Ferrell's first movies. (Highly recommend watching that movie if you like dumb comedies, by the way!) Roxbury Charlotte is an 80s and 90s themed nightclub. They play all of the biggest songs from those two decades, and there are TVs all over the bar so they play the music videos as well! A lot of their cocktails have themed names after popular movies and TV shows from those years as well. Roxbury is two stories- most of the dancing happens in the lower level. It can get really crowded on Saturday nights (literally the only downside of this place! ), so I recommend going on a Friday night, or getting there early on a Saturday! There is a cover charge- I think $5 for girls. Kandy Bar (210 E. Trade St. #342 Charlotte NC 28202. In Epicentre.) If you're looking for a taste of upscale nightlife from cities like New York City or Las Vegas, Kandy Bar is the spot for you. This nightclub opened right after I graduated college, and it was one of my favorite spots to go out during my last year in Charlotte! This bar is definitely a little dressier- this would be the perfect spot to wear a cute little dress and heels to, whereas the others that I'm highlighting are a little more casual. There is a cover charge. Whiskey River (210 E. Trade St. A-208 Charlotte NC 28202. In Epicentre.) My FAVORITE spot in Charlotte! I never went to Whiskey River in college, as I'd heard it wasn't that much fun. Shortly after I graduated, I went for the first time, and HAD A BLAST. I kept wondering how I'd never been before! Whiskey River is my favorite bar in Charlotte mainly because of the music. They play an amazing variety: rap, current pop, country, and a lot of the same 90s throwbacks that Roxbury plays. There are also boxes that you can dance on- which is so much fun!! Whiskey River also has a mechanical bull, which adds to the fun. It's located in the Epicentre (like Kandy Bar), which makes it a great spot for bar hopping, but with that said Whiskey River so much fun that you can also spend your entire night here! There is a cover charge, but frequently there are staff members perusing the Epicentre giving out cards for no cover for that night. Thanks to all of these ladies for helping contribute to this! And thanks to you if you made it here to the end! I know this was a longer Travel Guide, but I wanted it to be as comprehensive as possible, since Charlotte is one of my very favorite places. Next Tuesday, I'll be continuing with the Charlotte posts sharing the best hotels there! One of my cousins bought a condo in Charlotte. He's single and loves the nightlife there as well as the food. If his dental practice weren't in Michigan I think he'd settle there year round. You rocked this list. Wow. Definitely pinning this if we ever plan to go to Charlotte. I haven't ever been to Charlotte, but now I want to go just for the food! This list is amazing! My husband used to play hockey in Charlotte, and I loved visiting him. Such a great city! I never been to Charlotte before but it looks like a lot of fun with great food! Wow, these sound so good. So many good options! I’ve only been to the airport in Charlotte. However there seems to be such a variety of restaurants available there! I’d love to try the Indian or Vietnamese food. Charlotte sounds lovely! I will have to visit someday. Don't feel bad, I still haven't shared a full guide to OKC yet. I plan to do so this summer. I keep forgetting.